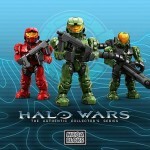 Toy News Online reports that Mega, maker of the popular Mega Bloks, has extended their deal to produce more Halo toys. “Partnership with Microsoft to develop construction sets based on the property has been renewed. The latest deal will see Mega Brands develop the Mega Bloks Halo Authentic Collector’s series further in conjunction with 343 Industries, a division of Microsoft Games Studios. The Mega Bloks Halo construction toy line brings to life the range of vehicles, characters and locations, targeting collectors and construction fans alike. 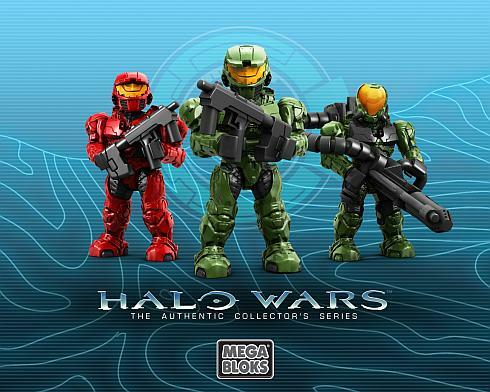 Vic Bertrand, chief innovation officer, Mega Brands, commented: “The Mega Bloks Halo Authentic Collector’s Series is one of the toy industry’s leading properties. Frank O’Connor, franchise development director, 343 Industries, added: “It has always been and it continues to be a pleasure working with Mega Bloks on the expanded universe of Halo themed construction sets. Commander Bly and Yoda's Hut! And if you missed the SDCC Clone Commander Photo Gallery then check it out! That dioarama with Luke and Vader is very, very impressive looking. Anyone know if they have plans for a 12 inch Ahsoka? Sweet. I'm not a big Star Wars fan but I LOOOVE Peter Cushing and this is going right up there with the Van Helsing figs. that darth maul looks nice, but i wish they would have made one prior to being cut in half. something about the cyborg version seems skiddish. It's 1:6 scale Shadow Trooper and Holiday Yoda, as well as an Asajj Ventress life-size bust! Oh my crap! Does anyone know how much that Yoda is gunna cost me! That Shadow Trooper is fantastic!! Thanks for the head's up!